Posted by judylobo in Animal Video, Black and White Ruffed Lemurs, Mammals, Nature, photography, Snow Monkeys, Wildlife, Zoo. 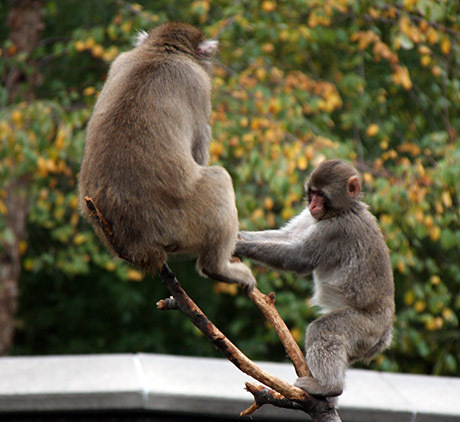 Prosimians are the most primitive of the living primates, which also include the monkeys and apes. The name prosimian means pre-monkey. 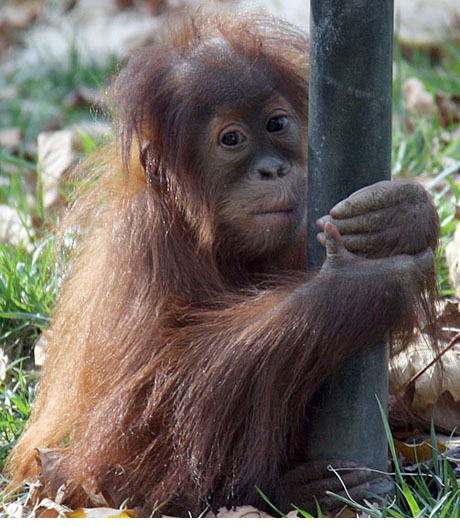 Here’s a link that explains the differences among primates, prosimians and apes. The beautiful animals featured in today’s photo montage include black and white ruffed lemurs, Japanese macaques, Sakis, cotton-top and lion-headed tamarins and can all be seen at the Central Park Zoo. Check out this up-close and personal polar bear encounter we had at the Lincoln Park Zoo below today’s montage. It is guaranteed to cool you off in this summer’s heat. Posted by judylobo in Baby Animals, Birds, Black and White Ruffed Lemurs, Mammals, Mongoose, Nature, photography, Red Pandas, Sea Ducks, Wildlife, Zoo. 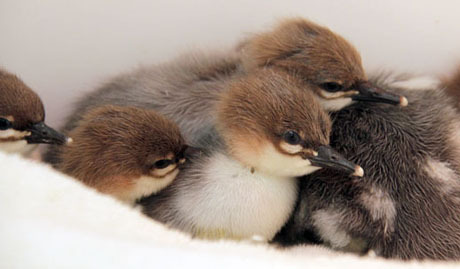 The Central Park Zoo has successfully hatched eight critically endangered Chinese merganser ducklings — a first for any North American zoo. The eight ducklings were hatched, April 26, 2011. The zoo has two breeding pairs of Chinese mergansers, a species of sea duck found in eastern Asia. The Central Park Zoo maintains the largest public collection of sea ducks and the only zoo-kept Chinese Mergansers in North America. This great zoo news was everywhere this week. Click on any of the links below to see the story, photo and details. The duckings are two months old today. 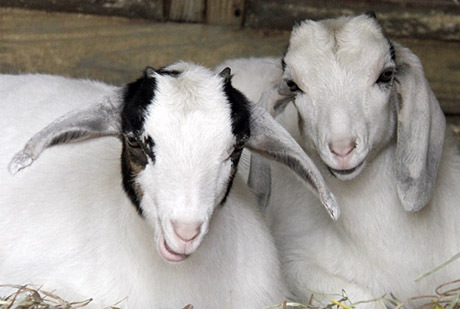 You can visit them at the Central Park Tisch Children’s Zoo. Check out their photo in the title picture, see one of our four baby Banded Mongoose, our new male, red panda and more in today’s photo montage. 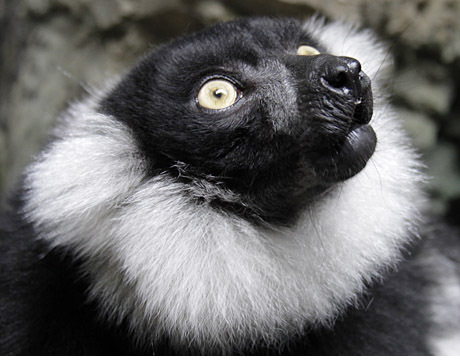 Posted by judylobo in Baby Animals, Birds, Black and White Ruffed Lemurs, Mammals, Nature, photography, Wildlife, Zoo. Spring has sprung and the Central Park Tisch Children’s Zoo has a leaping lamb and an air born baby goat or two (actually five). Come visit. Bring your smile and your camera. It’s lots of fun and it won’t last long as they grow up very quickly. Posted by judylobo in Amphibians, Animal Video, Baby Animals, Big Cats, Birds, Black and White Ruffed Lemurs, Fish, Mammals, Mongoose, Mountain Coati, Nature, Orangutan, photography, Pigs, Polar Bears, Red Pandas, Reptiles, Sea LIons, Snow Leopard, Snow Monkeys, Wildlife, Zoo. I continue my tradition of ending the year with a look from ‘behind’. It was a zoo-sational year for a zoo nut like me. Along with some of my like minded zoo pals we were able to visit new zoos and places around the country and thanks to many wonderful new friends get some amazing behind the scenes access. If you missed some of the visits, check out my photos from the Everglades, the Palm Beach Zoo, the Miami Metro Zoo, Flamingo Gardens, the Cleveland MetroParks Zoo, The Akron Zoo, The Toldedo Zoo, The Erie Zoo, The Pittsburgh Zoo and a personal favorite there, the Polar Bear Plunge, The Columbus Zoo, The Louisville Zoo, The Cincinnati Zoo and the best Insect House anywhere, The Newport Aquarium, Pittsburgh’s National Aviary, the always wonderful San Francisco Zoo, a very worthwhile VIP tour of Six Flags Wild Safari, Southwick’s Zoo, Whale and Dolphin watching, out of Gloucester, MA, the Cape May Zoo, the Raptor Trust, the Philadelphia Zoo, and of course home base, the Central Park Zoo where we all met the newest residents, the Mountain Coatis, Lobo, Lev and Wolfie . 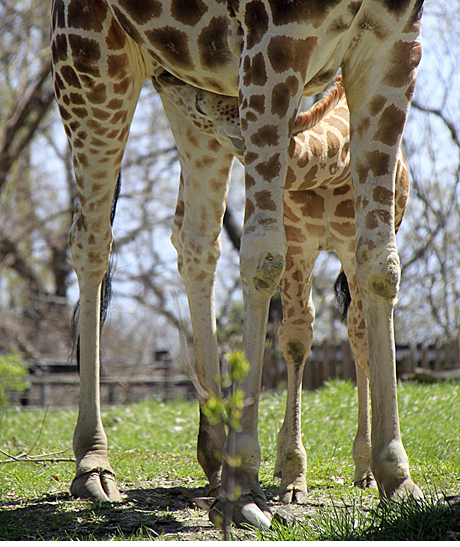 I am looking forward to new Zoo adventures in 2011. Don’t forget to watch Gus, the polar bear enjoying some snow in my video below. Posted by judylobo in Black and White Ruffed Lemurs, Mammals, Mongoose, Mountain Coati, Nature, photography, Polar Bears, Snow Leopard, Snow Monkeys, Wildlife, Zoo. 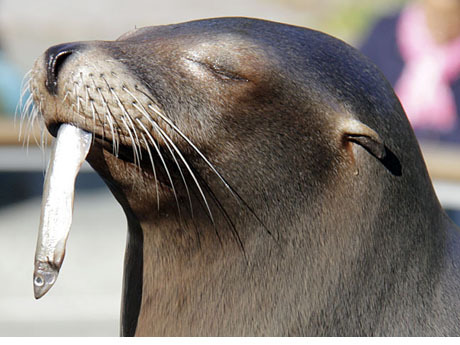 Fall is a great time to visit the Central Park Zoo. The leaves are beautiful and the temperate animals are more active than ever. Check out Ida the polar bear as she plays with one of her toys. You can also ooh and ah at our four adorable Banded Mongoose babies and four Dwarf Mongoose babies. Don’t forget to walk up the hill to see our gorgeous Snow Leopards, Red Panda and Snow Monkeys. To see these photos larger go here.